Is Your Approach to Tax Technology Governance Fit For Purpose? The litany of challenges facing today’s Tax leadership makes for uncomfortable reading. A quick look into the alphabet soup reveals BEPS, CbCR, SAF-T, SII, AEOI, IFRS and even GDPR, never mind US tax reform, VAT in the GCC, GST in India, changes in China, transfer pricing complexities and taxing the digital economy. However, these are just the external highlights. Within the organisation, the Tax team is being asked to improve its grasp of the numbers, find productivity gains and reach across the entire value chain to better align itself strategically with overall corporate goals. With so much going on you might expect technology to be on the backburner, but that’s not the case. Also in the Scrabble bag you’ll find RPA, AI, ERP, automation, analytics, digitalisation, data lakes and transformation. With tax now a reputational issue, and the taxing jurisdictions rapidly adopting ‘big data’ techniques, the days when the tax function can restrict its focus to compliance, effective tax rate (ETR) and cashflow optimisation are all but over. Granted, these opening paragraphs might seem overly simplistic and glib, or maybe just plain scare-mongering, but that’s not the intent. So, just for a moment, let’s forget about all that and get our feet back on planet Earth where the real people live. The sands upon which the Tax castle is built are shifting, and Tax professionals are being pulled in directions that don’t naturally fall within their traditional boundaries. there is simply no other way of achieving the productivity, accuracy and efficiency gains expected. But for many, their experience of technology to date is far from satisfactory. The pitfalls of technology are as hazardous as its promise is soaring. Also, the mechanics of the tax technology marketplace are such that they are causing reluctance and wariness at a time when exactly the opposite is needed. Yet, technology in Tax is here to stay, that’s clear. What is less clear is the degree to which it will impact the perception of a successful Tax professional going forward. As technology becomes integral to the job, that impact will undoubtedly become more tangible. In the meantime, the effects of technology usage by authorities and elsewhere in the organisation means that Tax departments barely have the time and energy to address technology properly for their own purposes. Herein lies the conundrum. So, given these circumstances, how can Tax leaders realistically approach tax technology with more clarity and assurance than they do today? Note that in some cases this may involve companies stopping what they are doing now because it is not working. Again, this may seem a little glib, but in fact it’s already happening. Many are delaying taking action due to the range of possible options, the difficulty in selecting the best ones, and the downside risks of making an incorrect decision. Part of the problem is that for historical reasons there is a rather one-dimensional attitude to enterprise IT (or Management Information Systems (MIS), to be more accurate), including Tax Technology. To understand that better you have to look at the track record for enterprise resource planning (ERP), which itself is central to the Tax function within corporations. Before database and infrastructure software, such as SAP and Oracle, companies were building solutions for themselves, often based on IBM technologies. Then the year 2000 (or ‘Y2K’) happened (the fear that ticking over from 1999 to 2000 would cause calamity for systems that stored only the last two digits of the year). This provided the impetus for a period of frantic third-party ERP implementation and the retirement of home-grown solutions. It was a heyday for consultants – you only had to be able to spell “ERP” to earn crazy rates. But, on the flipside, foundations were laid for problems that would surface later. During that chaotic period, ERP was often ‘shoe-horned’ in by people with limited experience and a mandate for speed. Since then, the problems with this have become evident when working with Tax Technology products that must interface with ERP, but where there is often a clear difference in quality between those source systems implemented during Y2K and those rolled out since. Once in place, dependencies built up around ERPs are technically, organisationally and psychologically difficult to shift afterwards. The resulting MISs are rigid, their inefficiencies locked-in by barely decipherable compensating processes and structures that incumbents (strength-athletes who hold the whole thing together daily, plus those with a vested interest in the status quo) defend with their lives. The greater the degree of original shoe-horning, the more rigid and un-robust the resulting solution will be to this day. In addition, the history of ERP since Y2K is hardly cause for cheer. Under pressure from market forces, vendors are continually updating their applications and insisting everyone upgrades. With each new software release, they provide migration paths from the previous version for customers who don’t care for the “improvements”. These “like-4-like” upgrade paths are popular but rarely completely clean. Consequently, each time they are used, technical stresses are introduced into the solution as old structures are wedged into new architectures. From a Tax perspective, nowhere was this more evident than the Oracle Applications upgrade from 11i to eBusiness Suite release 12, known as R12. In this instance, internal tax engines and third-party management functionality were removed from individual modules like accounts receivable (AR) and accounts payable (AP) and placed into new standalone facilities, eBTax (a tax engine) and TCA (trade community architecture) respectively. The scale of the changes meant that in this case, “like-4-like” intensified the usual double whammy: namely, a setup not ideal for the new platform, and a missed opportunity to properly leverage any improvements. Yet this was the route most frequently taken. Some have now been through such upgrades multiple times, causing the ERP ecosystem to be more and more out-of-kilter. It’s unhelpful that Tax was one of the last groups to formally come to the ERP party in the first place. So, why is this one-dimensional? It’s considered one-dimensional when a working solution is regarded as such, and people are loathe to touch it, irrespective of how well it’s working. Unfortunately, the dependency on technology means that over time, this lack of attention has a corrosive effect on primary goal attainment for the group and may cost orders of magnitude in lost opportunity. However, more and more companies are starting to grasp this and are exploring options for improvement, or even regeneration of the Tax function based on technology. Consequently, a new era for enterprise IT is slowly being ushered in. One view is that the advent of transformation initiatives, which manifest themselves as digital transformation or finance transformation projects, reflect this. These are based on the idea that enterprise IT, and particularly enterprise data, is a resource in its own right with strategic value rather than just a way to solve a problem in back office. Tax, which has no other end-product besides information, is right up there with finance and marketing as the business functions set to benefit the most. But it is a pity that transformation projects currently have about a failure rate of 75%. But then again, looking across the industry in general, failure rates around enterprise IT remain far too high. Even RPA (robotics), the latest craze in tax technology, has a 30-40% failure rate, even though its purpose is relatively straightforward. RPA is pure automation, specifically, the replacement of manual tasks with electronic ones. 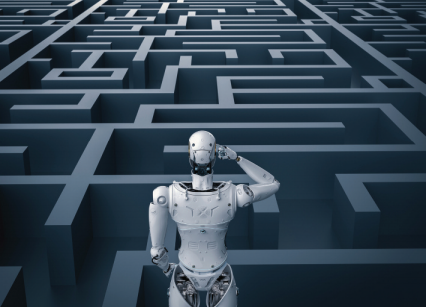 There’s no transformation in RPA, only automation (with an incremental return on investment), so that complexity does not arise. So, why would any self-respecting Tax person want to risk stepping into the minefield that is enterprise IT? Some never will, but others view it as a growing necessity and an opportunity. Besides the adrenaline junkies (there’s always a few), the rest must know that when stepping into the breach, to be forewarned is to be forearmed. One Tax manager recently said that technology is now on the agenda of the Tax leadership at his company, but nobody was sure what that meant. A well-known firm had told them they can save 50 full time employees (FTEs) or equivalent at their offshore shared service centre by using technology, but three months later and after careful review, that turned out to be no more than five FTEs. In other words, effectively meaningless for this large company. However, it demonstrates the gap between ambition and capability, and the vagaries of the market’s response. Clearly, for this company, something is missing from their repertoire that otherwise would give them a better handle on such things. So, what steps should tax leadership be taking? What will realistically offer a better chance of success, and avoid the hidden agendas and the paying of lip-service that frequently harm such efforts? Technical risk is inevitable, and holistic control is almost impossible. Again, we sense a sea-change among Tax managers. Whereas previously technology could be dismissed as a hopeless case and/or someone else’s problem, now there is a genuine desire to understand the best way forward. It includes an extra level of business accountability – namely, if there’s insufficient confidence in a proposed strategy or plan from a business perspective, don’t take the risk. It’s a great approach, but it is also causing thousands on the business-side to sit on the side lines while they try and figure out a viable approach to Tax Technology. Let’s get practical. Bear in mind that there is no silver bullet and this is a journey that will take time. Consequently, here are some suggestions in terms of performing the groundwork necessary to set a path that will last the distance. 1. Commit to stepping outside your normal comfort zone. This implies you don’t have all the answers and you are open to discovery and education in unfamiliar realms. Couple this with a healthy market awareness (the market will sometimes sell what they think customers will buy rather than what they truly need), and you have a solid foundation to build on. 2. Appoint one or more persons from the Tax team as accountable for Tax Technology. There is a tightrope to walk here as accountability without responsibility is a significant risk. Responsibility is only effective with a firm grasp of the levers that drive the enterprise IT side of the equation, but this is a highly specialised and sophisticated skill very different from, and at least as complex as, that of Tax. Corralling such interdependent capabilities is an immense challenge. However, go ahead and appoint someone anyway. Make it a formal arrangement. It’s a prerequisite for progress. 3. Provide that person (or team) with adequate backing and allow sufficient time. Avoid giving with one hand and taking away with the other. While many in this role will have split responsibilities, ensure they’re not dragged back into the melee as soon something comes up (like US Tax reform). 4. Provide that person (or group) with appropriate training and support. This may sound like a criticism, but it’s not. While the market for Tax Technology products continues to mature, the market for capabilities around the governance of those products is in its infancy. Even the specialist Tax recruitment firms, with their finger on the pulse of the industry, are only just starting to pick this up. The concern is that while these appointees will undoubtedly make a difference, they lack the vision and capability to produce consistent results in all circumstances based on sound principle and relevant competencies. For example, not all technology is created equal; core enterprise data and IT (including tax engines) must be treated differently from downstream products like compliance tools, which are different again from business workflow and process governance. All this differs from the project skills and knowledge of specific Tax technology products that would normally be associated with Tax Technologists (specialising in activities rather than governance). Overall, if this was a more established discipline like Tax business, a gap of this magnitude would be deemed unacceptable. 5. Seek to discover the root concepts and principles that govern and underpin all Tax Technology. Expect them to be transformative in nature, and focus them around the Tax Technology leadership role established in the previous steps. This is the opposite of treating everything as a process and each issue as standalone. If your only mode of operation is to knock down technical challenges in ones and twos as they arise, then you’ll end up with a system that looks like spaghetti junction under the hood. If this tangle could be mapped, it would appear as highly complex, inflexible dependency matrixes, that by definition are costly to run, barely effective in execution, gruelling to maintain and resistant to change. Unravelling the tangle just described is a non-trivial exercise, but, again, all enterprise IT is not created equal in this regard. For instance, no third-party compliance tool will suffer this problem because they are self-contained (also called point solutions). In a point solution, the vendor has sorted out all the complexities for you and allows little or no leeway to undermine its integrity. If you have issues with a point solution then it will be for other reasons (bad source data or poor configuration). However, as already discussed, ERP is not a point solution (and Excel even less so). Also, the interfaces between point solutions can be as tangled as ERP (held together by the preverbal chewing gum and sticky tape). To add to the problem, the quality of an end-to-end solution overall is susceptible to the weakest link rule. So, this is the challenge facing an untransformed tax function. However, it’s not as bad as it sounds. Also, the benefits on the other side are greater than many can fathom (imagine the full power of great data at your fingertips). But most will make progress in much smaller, pragmatic chunks over time, which is still a highly valuable and viable approach. The key is to get started, and again, it begins at home. Knowledge is everything. For example, how can you hire the right people if you can’t tell whether the candidates are living in the old world or the new? So, this encapsulates this material, and much more, under the umbrella term of a ‘Taxologist’. Taxologists, or the vision, skills, competencies and tools they represent, are a necessity if Tax is to emerge from the Ctrl-Alt-Delete era of enterprise IT.